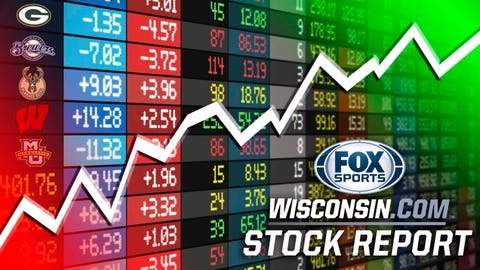 Every Wednesday, FOX Sports Wisconsin takes a look at which athletes’ stock is trending up and whose is trending down. In other words, who is making a meteoric rise, and who is quickly plummeting. With that in mind, let’s “take stock” of the current sports scene in Wisconsin, shall we? OK, so that contract given to Miles Plumlee in the offseason might not have been the greatest move, but I’m still trying to figure out how Hammond flipped the center — who was averaging only 9.7 minutes per game with the Bucks and didn’t even play in 16 games — to Charlotte for two players with expiring contracts (one does have a player option) without giving up a draft pick. Hammond also got two useful players — big men Roy Hibbert, who should give Milwaukee a much-needed rim protector — and Spencer Hawes. Henson had played just once in five games — and only 7 minutes in that contest — but when Plumlee got dealt, he was given a chance to start once again. Playing in a season-high 30 1/2 minutes, Henson had 16 points, five rebounds and four blocks against Denver, then pitched in 15 points and seven rebounds in just under 25 minutes at Phoenix. In those two games, Henson shot 13 of 20 from the field. With Milwaukee’s center position a bit in flux, Henson picked a good time to have solid back-to-back outings. When Middleton went down with a hamstring injury right before the start of training camp, it was thought he wouldn’t return until late March — if at all. Middleton, a strong defender who averaged 18.2 points per game last season and is a career 40 percent 3-point shooter, figures only to help a Milwaukee team looking to get back into the playoffs after a one-year absence. Two years ago, Leonhard retired from the NFL and was wondering what he was going to do with his life. After one year of being an assistant coach, he is now a coordinator for a Power 5 football team. Has anybody risen this fast up the ranks in modern college football history? The Packers bid adieu to two players who helped Green Bay win Super Bowl XLV. Fame is fleeting and football is indeed a business. Snell shot just 38.5 percent from the field in three games last week and averaged 5.3 points. Also, Khris Middleton being back will likely mean reduced time on the court for Snell.